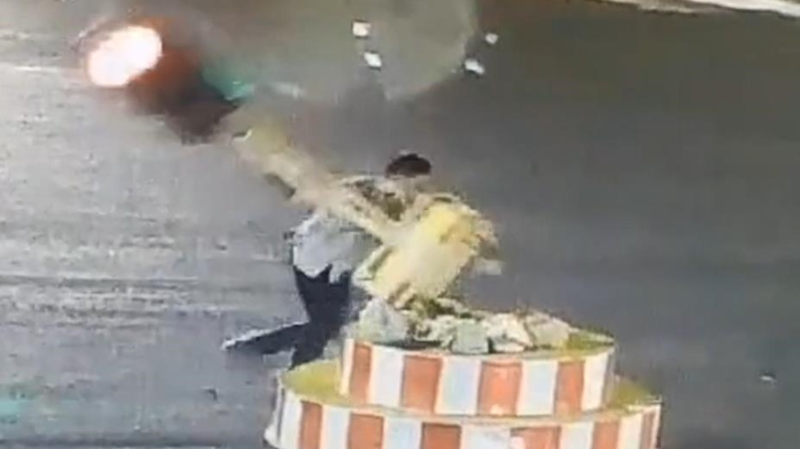 A man in Hunan Province was caught on multiple CCTV cameras destroying a set of temporary traffic lights after they stayed red for too long. A man in Hunan Province was caught on multiple CCTV cameras destroying a set of temporary traffic lights after they stayed red for too long. He told police he had just had an argument with a friend and was in a bad mood, but that didn't stop them slapping him with a fine.